RENO, Nev. – The American Legion adopted a resolution Thursday urging the federal government to allow Department of Veterans Affairs doctors to discuss and recommend medical marijuana in states where it’s legal, adding to the group’s efforts to get cannabis in the hands of veterans it could help. The resolution, passed at the group’s national convention in Reno, Nevada, was authored by American Legion member Rob Ryan of Blue Ash, Ohio. According to the national Centers for Disease Control and Prevention, Ohio has the fourth highest rate of overdose deaths in the nation, behind West Virginia, New Hampshire and Kentucky. It’s also one of the 29 states that permit some form of cannabis use. Ryan said he’s heard from veterans “over and over and over again” who use marijuana as an alternative to addictive opioids. Last year, the “Veterans Equal Access” measure passed the House as part of a VA appropriations bill, with a vote of 233-189. It also passed the Senate on a vote of 89-9, but it was stripped out of the final legislation during negotiations to reconcile differences between the Senate and House versions. This July, the House Rules Committee blocked the amendment from going to the House floor for debate. However, the Senate could include the measure in its VA appropriations legislation. Senators are expected to discuss the federal budget when they return in September from a monthlong recess. 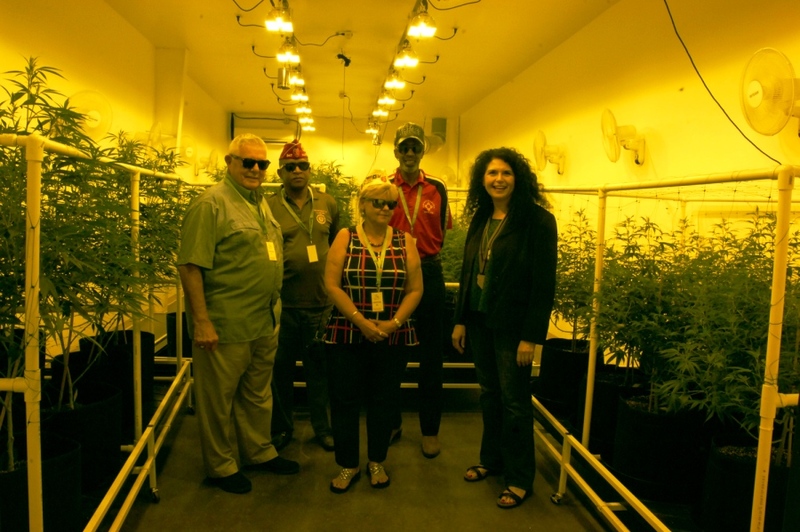 During the convention on Wednesday, five American Legion members from Alabama and two from New Mexico went with Sisley to Nevada Botanical Science – a cannabis cultivation site located in an industrial park just north of Reno. They toured three grow rooms — each holding hundreds of marijuana plants at various stages of development — and a lab where marijuana is concentrated into a substance that can be used in vaporizer pens. The veterans watched a staff member take a typical “dose” from a vaporizer pen. Army veteran Donna Stacey, the state commander for the Alabama American Legion, said she wanted to know more because of the resolution. As a leader for her state, Stacey is expected to talk with her congressmen about the American Legion’s priorities, including medical marijuana. Recreational use of marijuana became legal in Nevada on July 1. Alabama doesn’t permit any form of marijuana use. Sisley approached more than 100 veterans at the convention hall in Reno, asking that they go along on the tour. Almost all of them said no. Some veterans admitted it was because of the stigma associated with marijuana. Stacey’s husband, Wayne — who is also an Army veteran and American Legion member — went along on the tour.